There’s a bewildering array of choices and compromises when it comes to choosing the material for new sails, we look at the sailcloth options. Today's sailcloth is vary different to the cotton canvas of old, and there is a vast array of fabrics on offer. Before even considering buying new sails it's important to establish priorities – compromises between performance, cost and longevity are inevitable. These aren't necessarily as straightforward as they might appear at first glance, even for relatively straightforward cruising sails. 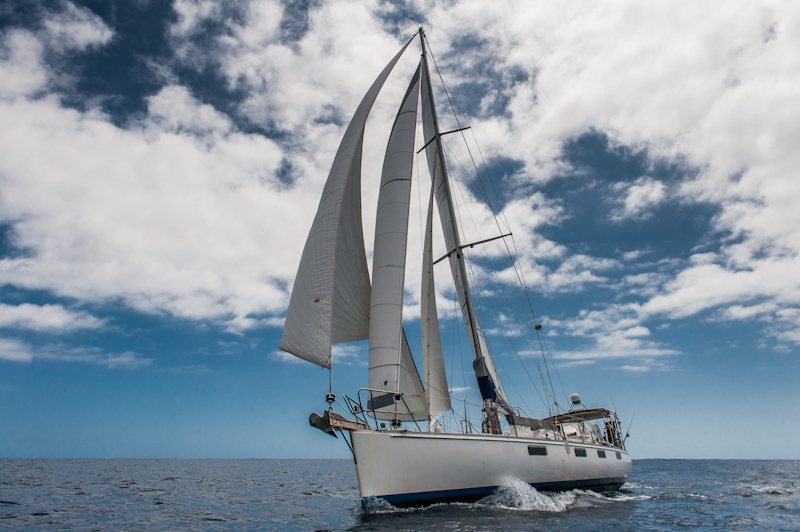 The ability of a sail to retain its designed sail shape has a large bearing on the ease of handling a cruising boat and on the vessel’s comfort at sea. As a consequence all sailors need to worry about the extent to which a sail stretches, either as the wind increases or the sail ages. 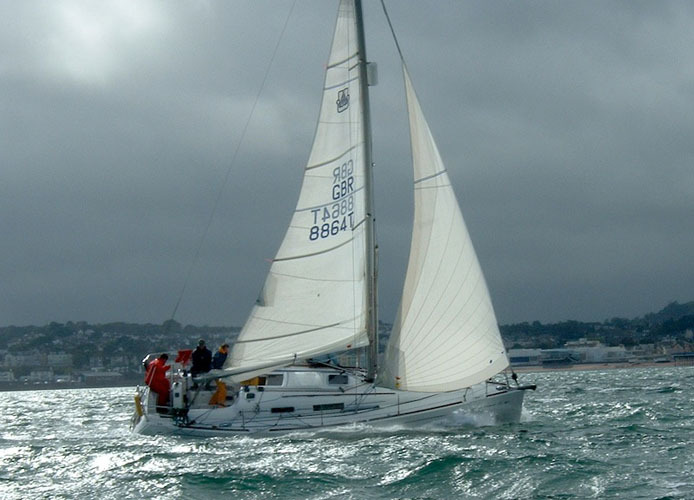 Sailing in challenging conditions, with gusts above 30 knots. 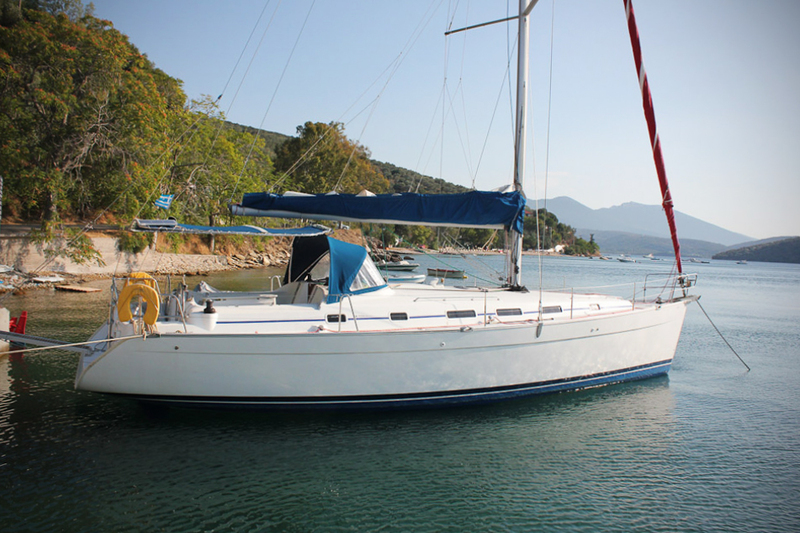 This boat is fitted with Dacron sails. In the gusts the Dacron can be seen to stretch considerably, with the deeper sail then powering up, making the boat heel more, and broach up into the wind. When a sail stretches, the point of maximum draft – the deepest part of the sail – moves aft and becomes deeper. The effect of this is increased heel, decreased ability to point close to the wind, and increased weather helm. The combination of these effects makes the boat less comfortable in stronger winds and a lot more difficult to handle and to steer. The latter point can make the vessel difficult to control, especially for those with less experience, and may mean that an autopilot struggles to cope. The increased depth of the sail when it stretches also means it needs to be reefed (or unreefed) with smaller increments of wind speed. This translates to more crew work and more wear and tear on the sails: a couple of minutes of flogging while putting in a reef can do more damage than 50 miles of sailing with the sail correctly trimmed. This is key to the longevity of any sail – the structural fibres are flexed every time the sail is folded or creased, and when the sail is flogging while being hoisted, lowered, reefed, or during a tack. The sailcloth material with the best flex resistance – woven Dacron – unfortunately is the one with greatest stretch. 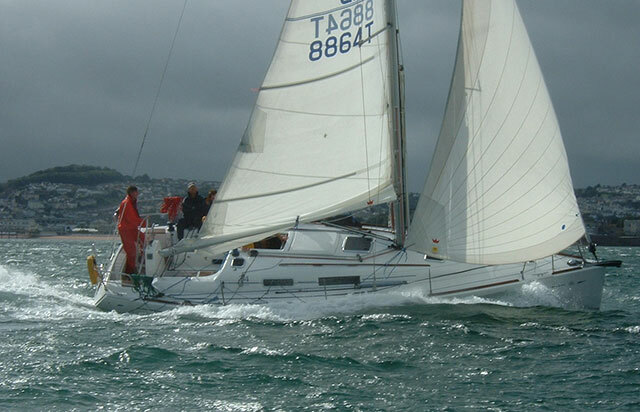 An identical boat sailing in the same challenging conditions, but this boat is fitted with radially cut cruising laminate sails. Unlike the Dacron, the laminate sails, largely retained their flat shape and the boat heeled only marginally more in the gusts and was easy to keep on course. The fibres with least stretch, with carbon heading the list, tend to have the least resistance to flex. Arimids such as Technora and Spectra are somewhat better in this respect and the often the material of choice for laminate sails on larger performance cruising boats. Polyester, which has even better flex resistance, is also used in cruising laminates, at the expense of more stretch and more creep, the permanent elongation of the fibres over time. The flex resistance of laminate sails can be improved by adding a layer of polyester taffeta to one or both sides of the sail. 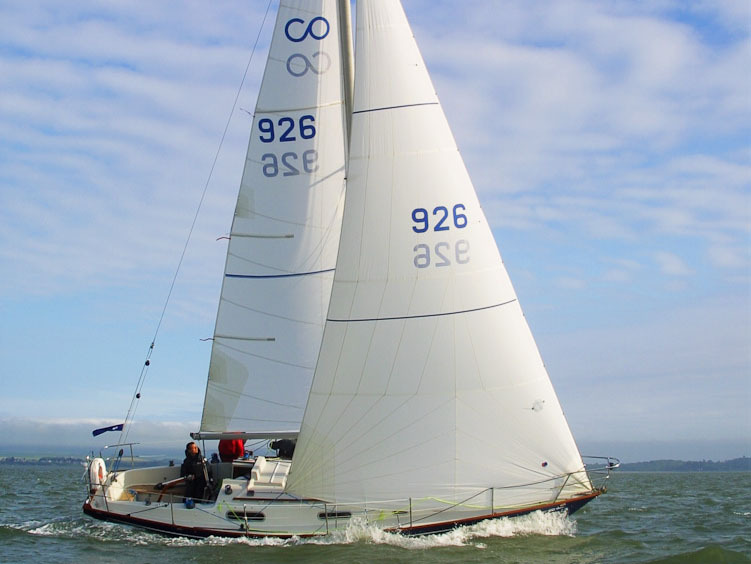 This is a worthwhile improvement for performance cruising or distance racing sails, where the extra upfront cost will be repaid through much greater longevity. 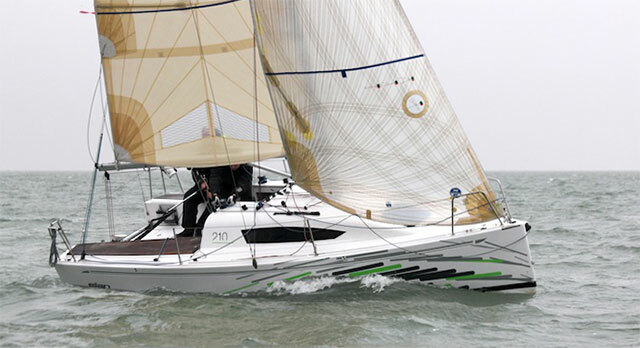 A second downside is that the taffeta adds considerable extra weight, which in itself reduces performance and in increases heel – typically every extra 10kg of weight up the rig needs an additional 30kg of ballast on the bottom of the keel to compensate. At one time the only fabric available for fore and aft sails was woven Dacron (polyester), however, there are now many more options including laminate sails - made of membranes that are bonded together with a sandwich of structural fibres between the two membranes. These may be made either as a giant single piece of material, as with a fibre-path sail that is designed from the outset for each boat, or as panelled sails that are stitched together in much the same way as a woven Dacron sail. Cross cut sails have horizontal panels running fore and aft. There are two key ways of making a panelled sail. The simplest is a cross cut sail, with each panel of cloth running horizontally fore and aft, although radial construction is gaining popularity, as the loads can be more evenly aligned with the load-bearing characteristics the fabric. Most panelled laminate sails tend to be of a radial construction, as the fabric is designed with the fibres to support this. However, there is only a small number of Dacron cloths that are woven to be suitable radial construction – the direction of least stretch must be along the roll of fabric, not across it with a cross-cut sail. There is a second respect in which Dacron fabrics have different properties: the tighter the weave of the fabric, the less it will tend to stretch. Resin is also used to help lock the weave together to reduce stretch, but over time this is shaken out of the cloth due to flogging. 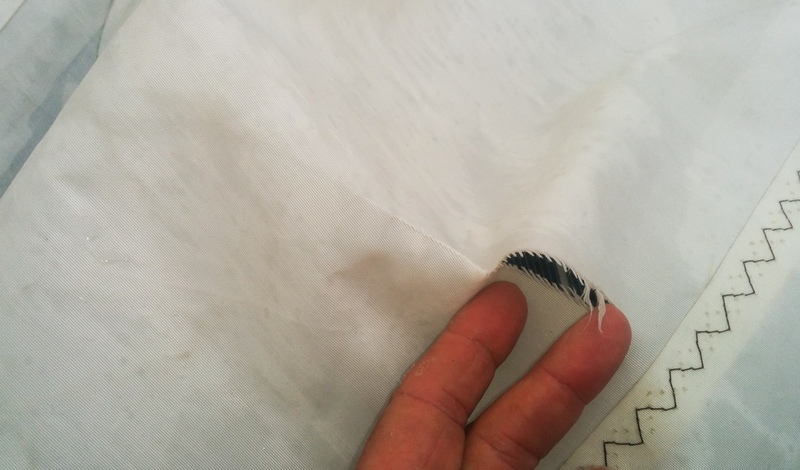 As tightly woven fabric is expensive, cheaper Dacron fabrics tend to rely on a looser weave with more resin – they may set tolerably well when the sail is new, but it will lose its shape quickly as it ages. These tend to be the most expensive sails available, but have a number of advantages. Firstly the designer is free to positioning the load-bearing fibres such that they exactly match the load in different parts of the sail. A sail used for offshore, or for ocean sailing, can be strengthened by adding up to around 40 per cent extra fibre compared to a sail designed predominately for inshore use. 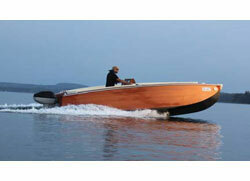 The fibres used will vary depending on the intended use of the boat. Despite its poor flex response carbon is favoured by out-and-out racers, as stretch is minimal, while Technora/Spectra, often with taffeta added to the outside, is ideal for larger performance cruising boats. If you want a sail that will take you several times round the world, then a well-made and properly reinforced woven Dacron is usually the best choice. The downside, however, is that you'll be sailing much of that distance with a sail that is a very different shape to that which the designer intended. Another fabric that is worth considering in this context, especially for larger yachts, is HydraNet radial, which includes Dyneema in the weave. It's expensive compared to woven Dacron, but longevity is equal or greater, and shape retention as the sail ages is considerably improved. Laminate sails, by contrast, retain most of the design shape until the end of their life. 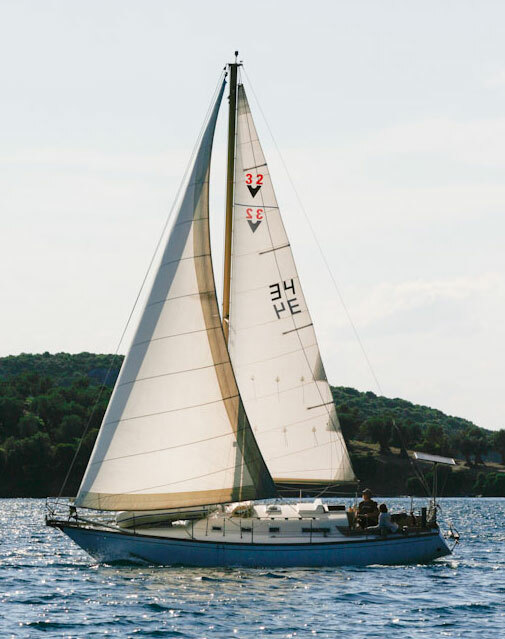 While the overall lifespan is shorter than for a Dacron sail, the sail will retain a good shape until the point at which it’s no longer economic to continue repairing it. 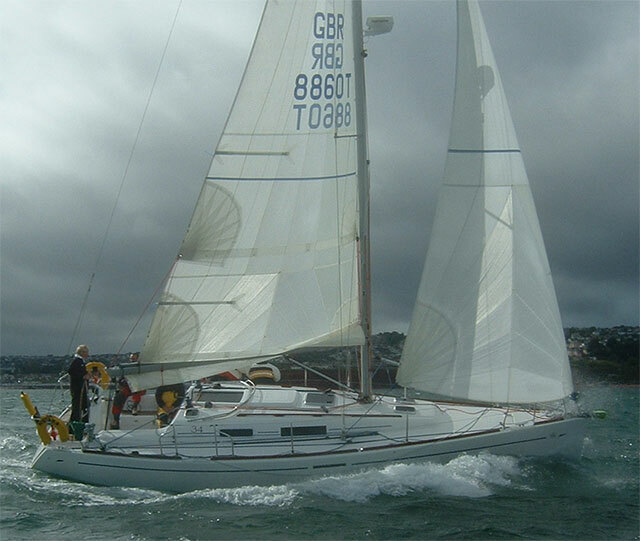 If treated carefully, long-distance performance cruising sails made with appropriate fibres and with taffeta outer layers can last for tens of thousands of miles. As already explained, allowing any sail to flog or flap will shorten its life. For cruising sails a fully battened mainsail can make sense, as this almost eliminates flogging and therefore extends the life of the sail. This is one of the instances in which spending more at the outset can reduce long-term costs. It’s also worth ensuring reefing systems are set up to be quick and easy to use, so that this reduces time spent with the sail flogging. Also try to avoid motor sailing with the mainsail flapping – whatever the material of the sail this will significantly shorten its useful life.